To use this feature, set option 16 in A/P Global Control - Allow F1 Key to Seq Assign AP Check Number to Y. This will allow the use of manual check numbers in A/P Transaction Processing when entering a prepaid voucher. 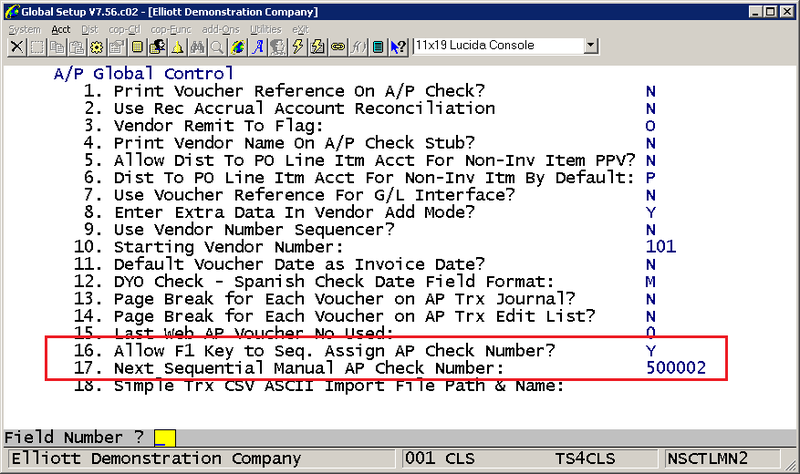 Set option 17 in A/P Global Control - Next Sequential AP Check Number to a number greater than 500000. This will represent a check range that is outside of the normal computer check range. 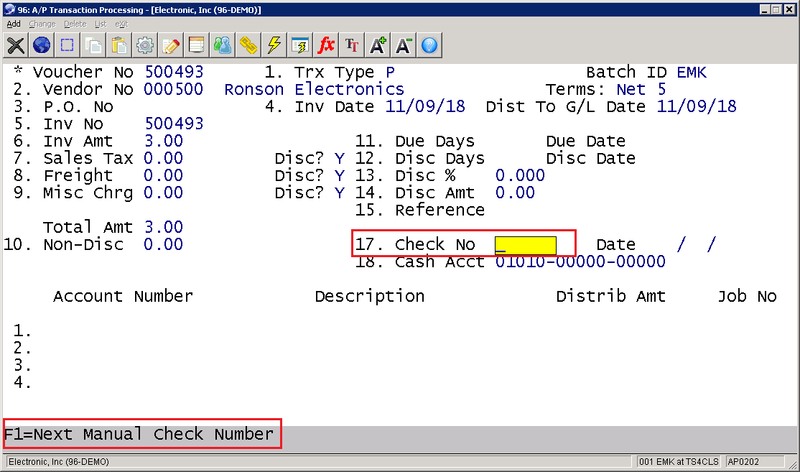 Once this feature is enabled, the user will have the ability to press the F1 key from field 17, the Check Number field, to assign the next manual check number. What Is The Difference Between Payment Date and Check Date during Print AP Check? How Can I Get a List of New Vendors Set Up Since a Certain Date? Why Doesn't the System Print the Bottom Stub on My Design-Your-Own AP Laser Check? What If I Do Not Run AP Manual Check Register? What Are the Impacts of Purging Accounts Payable Old Inactive Vendors?